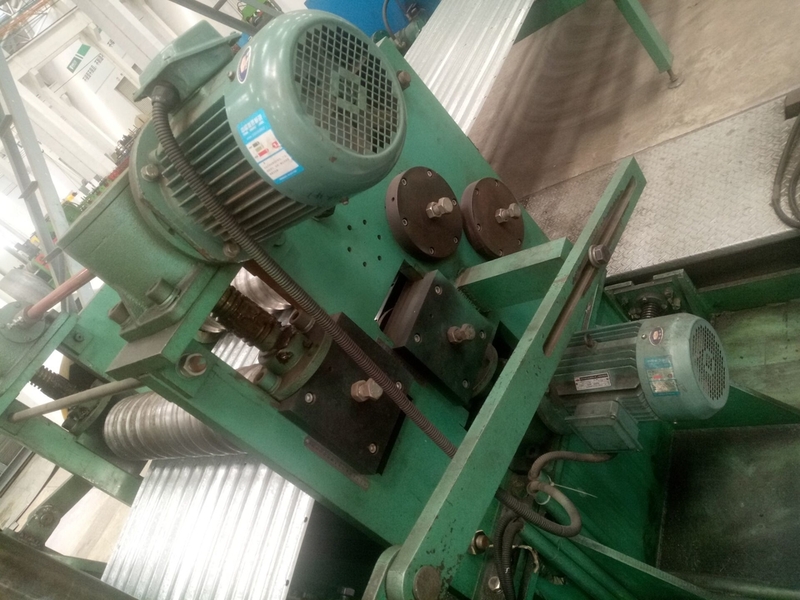 Electrical power: feeding strip by 4.0KW cycloidal pin motor, with pneumatic brake. 1. Main parts: welded steel plate structure, casting base, sync gearbox, manual lifter, universal transmission system etc. Welded steel plate frame, upper & lower steel panels covered with felted wool, multy surface protection methods, pneumatic press for tension to ensure recoiled strips tightly and evenly.